The First World War was a modern, industrial and technological war. The horrors of the trenches and tales of those who fought on the Western Front have been told ever since. Secret Warriors tells a lesser-known story. Out of their contribution came dramatic developments in aviation, gunnery, intelligence, medicine and psychology with the development of the tank and the dreadful advances of chemical warfare. Support from the home front was essential to success on the fighting front in what was to be the first ‘total war’. The work of some of the greatest artists, writers and film-makers of the day was crucial in controlling the flow of information at home and managing successful propaganda campaigns against the enemy. In his revelatory new take on the Great War, Taylor Downing explores the successes and legacies of the this creativity and reveals how wartime research paved the way for the twentieth century’s biggest scientific leaps. This war would draw on all the advances that physics and philosophy, chemistry and culture, medicine and mathematics could offer. 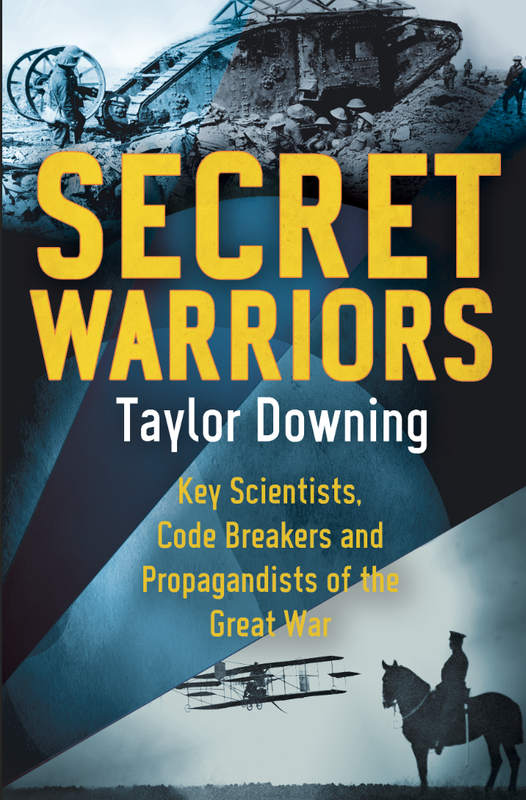 Looking afresh at archives old and new, Secret Warriors uncovers the astonishing foundations that wartime ingenuity laid for decades of scientific progress to come.